Although I began my #LifeFromScratch two and a half years ago, there are many aspects of the crunchy life that I haven’t picked up. Sure, I don’t wash my hair or shower anymore (learn more about not washing your hair here), but there are many recommended practices for a a healthy and toxic-free life that I just haven’t gotten around to. Dry brushing, oil pulling, blackout curtains, and daily walks are the ones that keep nagging me. Well, last week we bought blackout curtains, I’m making an effort to get some daily movement in, and I have now been oil pulling for over a month. Progress. I first learned about it years ago from 20 Something Allergies. I immediately knew this was something that would be good for me to do, and I attempted to get started a few times but it was awkward and messy. I would eventually give up before I could form the habit. Then in December 2014, I saw this awesome post by Wellness Mama. A week later I was visiting with a friend and she started telling me about that same post. Next thing I knew, it was New Year’s Eve and I was making 2 months’ worth of little oil pulling tablets in that friend’s kitchen! 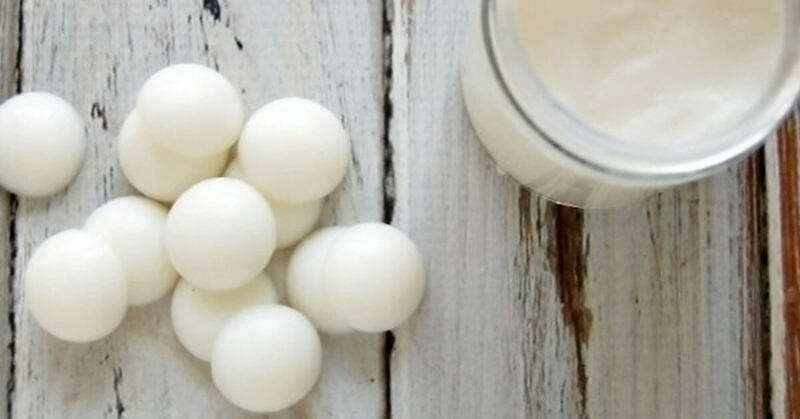 So what is oil pulling, and why have I been so keen to do it? Oil pulling involves putting oil in your mouth first thing in the morning, swishing it around for up to 20 minutes, and then spitting it out. This swishing motion helps loosen plaque and clean between your teeth better than a toothbrush or floss ever could. It is even believed to be detoxifying. Since I began oil pulling at the beginning of January, I have noticed a huge improvement in the health of my mouth. I have not had a single canker sore, my teeth feel smooth and clean, and I haven’t noticed any really bad breath (and I’ve been eating a lot of garlic lately!). When I went to the dentist at the end of January, they raved about how nice my teeth were (which made me feel pretty special). All in all it greatly increases your oral health, which in turn increases the health of your whole body. You know how the dentist is always telling you that gum disease is related to heart disease? Oil pulling is an easy way to help promote oral health. So how to do you it? Typically, you would oil pull by putting a tablespoon of oil in your mouth. Deliberately swish it around your mouth and pull it through your teeth for up to 20 minutes. If you are just getting started, you may find that you want to start with a smaller amount of oil and a shorter amount of time. Until I got used to the texture of chewing coconut oil to soften it, a large amount made me gag. When you have finished, spit the oil out into the garbage (The oil is full of plaque, bacteria, and toxins now – you don’t want to swallow it!) and brush your teeth ideally with a natural toothpaste like this one). As far as which oil you should use, it is up to you. I personally prefer coconut oil due to its anti-microbial properties — plus it tastes good. I also like to add essential oils to my oil pulling. Just a small amount: a drop or less per day. You may want to just use peppermint for that minty fresh feeling, or you can choose essential oils that are specifically recommended for oral health, like clove essential oil. This is what I use for oil pulling. 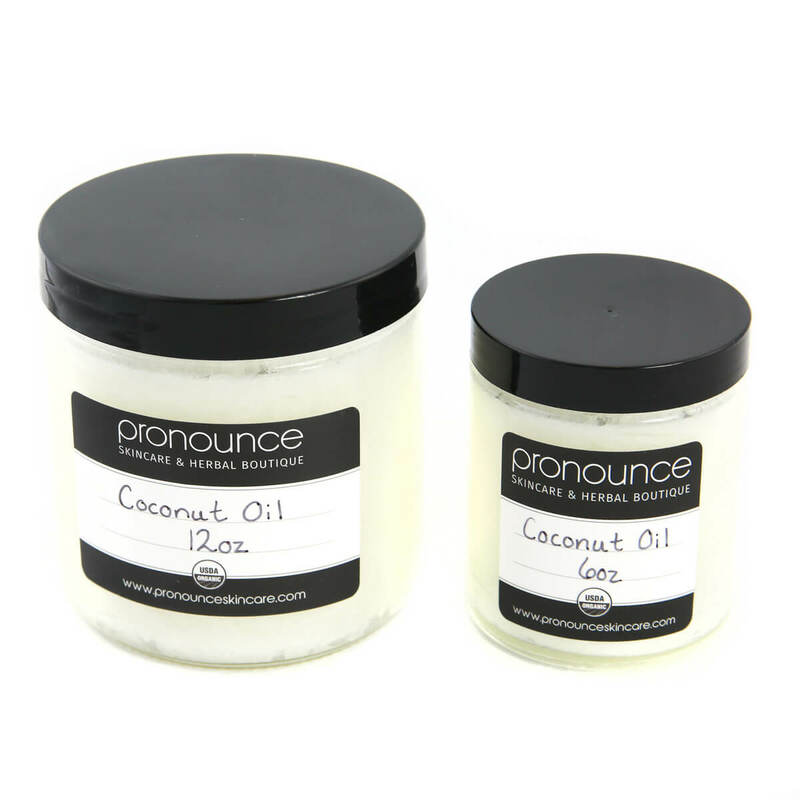 While oil pulling used to be messy and difficult for me, it is no more! 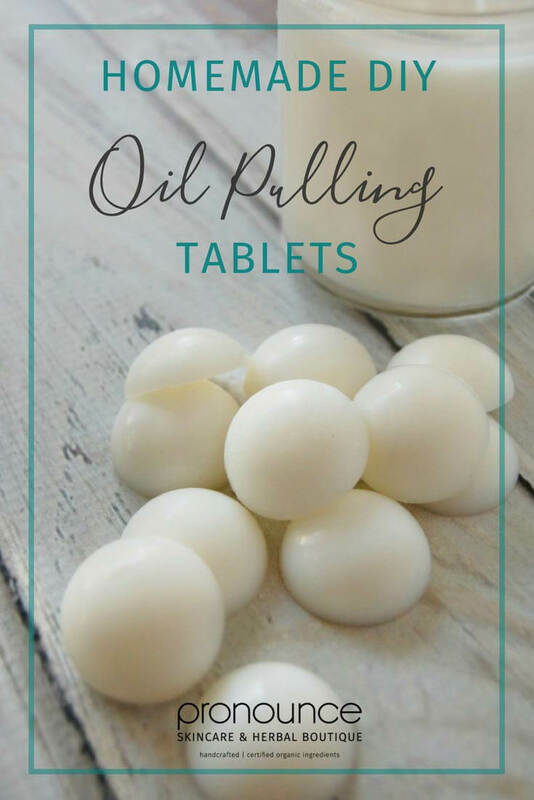 With these oil pulling tablets, it is incredibly easy to oil pull every morning. I simply wake up, drink a glass of water, and pop a half of one in my mouth (I have a small mouth – you may find a full tablet is ideal for you). I chew the solid oil a bit and before long it is fully liquid and easy to swish around my mouth. I do this while checking my email, making breakfast, etc. Easy, and it takes no extra time out of my morning! Melt the coconut oil in a sauce pan over medium to low heat. 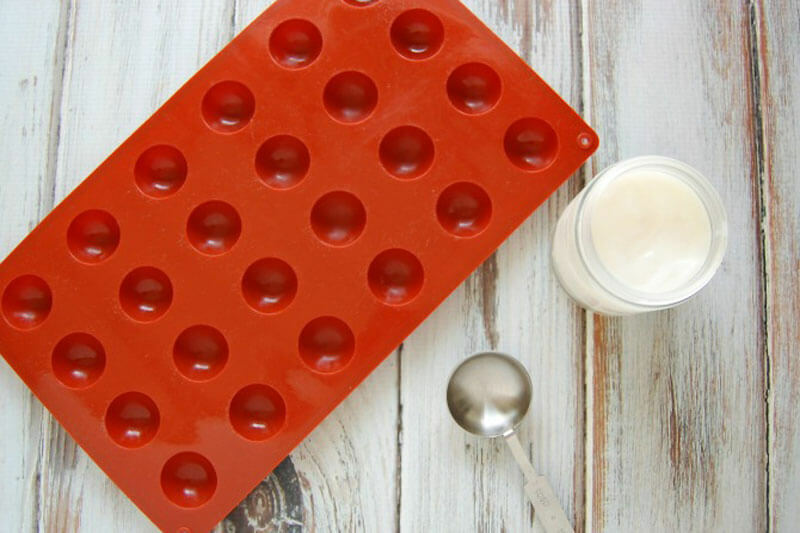 Place the candy mold on a cookie sheet. Don’t forget this step or moving the molds to the refrigerator will be really hard! Pour coconut oil into candy molds. Depending on the size you want, you may want to fill them all the way or only half way. If using, add one drop of essential oil to each well of coconut oil. Cool in the fridge. Remove from mold and store in a glass container in the refrigerator. Want to start oil pulling? Please, head on over to my Pronounce Skincare Shop where I sell ingredients needed to make this recipe! While you are there take a look at my other products. I love making them for you and your family!